Product prices and availability are accurate as of 2019-04-23 23:01:56 EDT and are subject to change. Any price and availability information displayed on http://www.amazon.com/ at the time of purchase will apply to the purchase of this product. 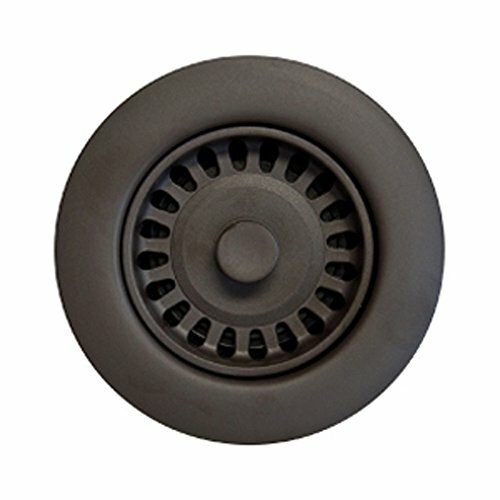 The Houzer 190-9564 3.5-inch Bronze Disposal Flange is made of durable plastic that withstands repeated use without chipping or fading. With a custom design, this product complements a variety of sinks and color schemes of Houzer's Quartztone granite sink, Porcela porcelain enamel steel sinks and Fireclay sinks. This disposal flange fits standard 3-1/2-inch drain opening. The Houzer 190-9564 3.5-inch disposal flange comes with a 1-year limited warranty that protects against defects in materials and workmanship and meets ASME A112.19.3-2000, UPC. For over three decades, Houzer has been improving millions of kitchens across America and overseas, one sink at a time. Houzer offers over 100 sensational models in Stainless steel, Quartz Granite, Fireclay, Porcelain Enamel steel, and Copper to match any design from traditional to contemporary. Houzer believes that sinks can make your life in the kitchen easier and more enjoyable.